The Ohio Developmental Disabilities Council has released a new book designed to improve understanding of the different strategies available for estate and special needs planning for individuals with disabilities, their families and others. 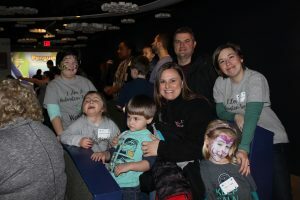 On the last weekend in January, the UCCEDD at Cincinnati Children’s hosted an RTS booklet release party at the Newport Aquarium, drawing over 100 guests from as far as Michigan, Illinois and Tennessee as well as regional guests from Indiana, Kentucky and Ohio! 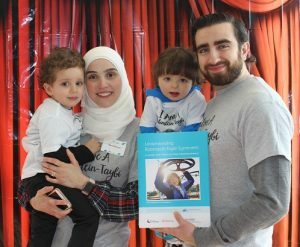 The booklet, “Understanding Rubinstein-Taybi Syndrome: A Guide for Families and Professionals” was developed to help family members of children with Rubinstein-Taybi Syndrome better explain their child’s condition to healthcare providers, teachers and family members. The booklet and event could not have happened with the generous support of the Dr. Jack Rubinstein Foundation at Cincinnati Children’s.